DC Communications | We create news and content for the world's best technology companies. We create news and content for the world's best technology companies. DC Comms is a PR agency that delivers on the earned media component of your communications strategy. 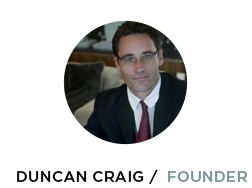 Founder Duncan Craig works closely with tech companies to create media announcements and produce content that communicates your strategy and vision. His focus since 2013 has been the advertising technology and digital marketing sectors across Australia, New Zealand and Southeast Asia. Duncan deploys his media skills to make an impact for your brand. The core suite of services includes media relations, professional writing, identifying and placing customer stories; and providing communications strategy advice and execution. Duncan is an experienced technology public relations executive, having executed communications campaigns for software, technology, and digital companies for a decade. From 1994-2004, Duncan worked as a business, telecommunications, media and technology journalist, writing for the Australian Financial Review, Bloomberg News, Knight Ridder Financial News, the National Business Review (NZ), Fairfax Business Media Asia, and Communications Day. Duncan worked for Australia’s largest public relations agency in Australia, Professional Public Relations, from 2006 to 2011, where he led the corporate technology PR practice. He formed DC Communications in 2012 and works closely with technology companies to get their story out via the media and other communications platforms. He focuses on media relations in Australia and Southeast Asia. He has executed media campaigns for global brands such as Oracle, Hitachi Data Systems, Avaya, Kaspersky Lab, VMware, Exinda, Novell, Pitney Bowes, DataFlux, TubeMogul, SanDisk, Linksys, Sizmek, Kenshoo, and Amobee. His focus: programmatic media trading, video, mobile, search and social advertising, multi-channel and cross-platform marketing, analytics, and data management platforms.